Back (l-r): Lydia Leavitt, Estella Blair, Sarah Preece, Susanna Allen, Livinia Wilcox, Clara Wheeler. Front: Lavina Poulsen, Christensia Hansen, Martha Coley, Martha Lewis, Sarah Snelgrove. Here is a photograph I thought I would share. It tells its own story. This photo was taken on 25 April 1948 in the Benson Stake Tabernacle. The photo is honoring those Visiting Teachers who have been faithful in going out for 40+ years in the Benson Stake. The Benson Stake was headquartered in Richmond, Cache, Utah (later renamed to Richmond Stake), not Benson. Mind you, at that time, this was not just an organization you automatically became a member of when you joined the church. This was a separate membership with dues requirements for the organization. You even received a membership card. 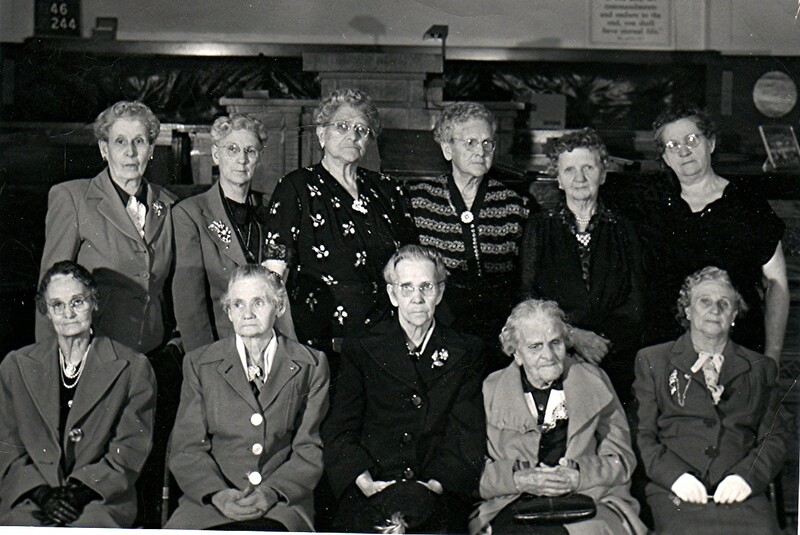 Not only are these women faithful in Visiting Teaching for 40 years, but they had volunteered to be a member of the Relief Society for that many years and actively participated. 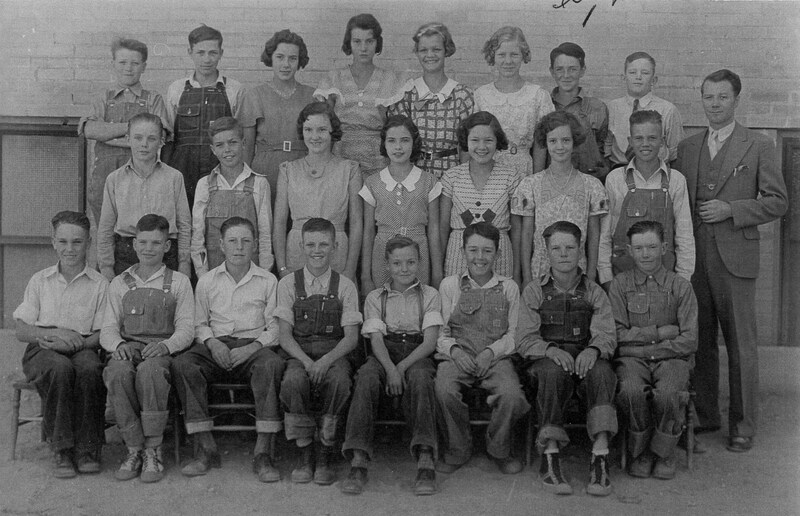 Martha Coley in the front middle is my Great, Great Grandmother. How many Visiting Teachers today qualify for faithful Visiting Teaching for 40 years? 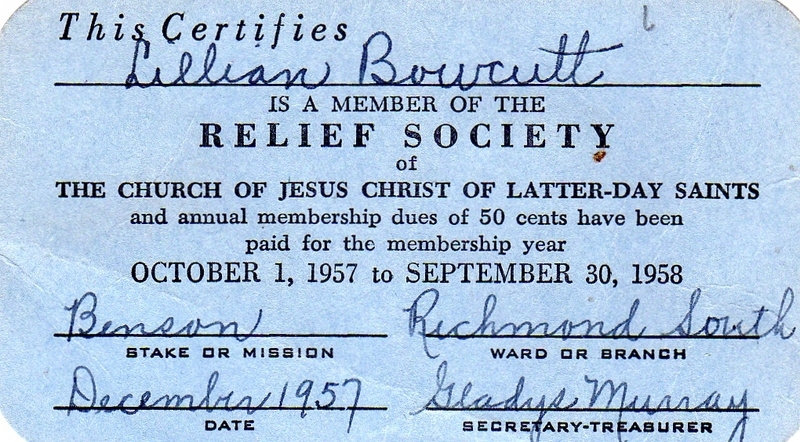 Here is Martha Christiansen Coley’s daughter’s Relief Society membership card. Lillian Coley married Joseph Nelson Jonas and after his death remarried to Lorenzo (Ren) Bowcutt. 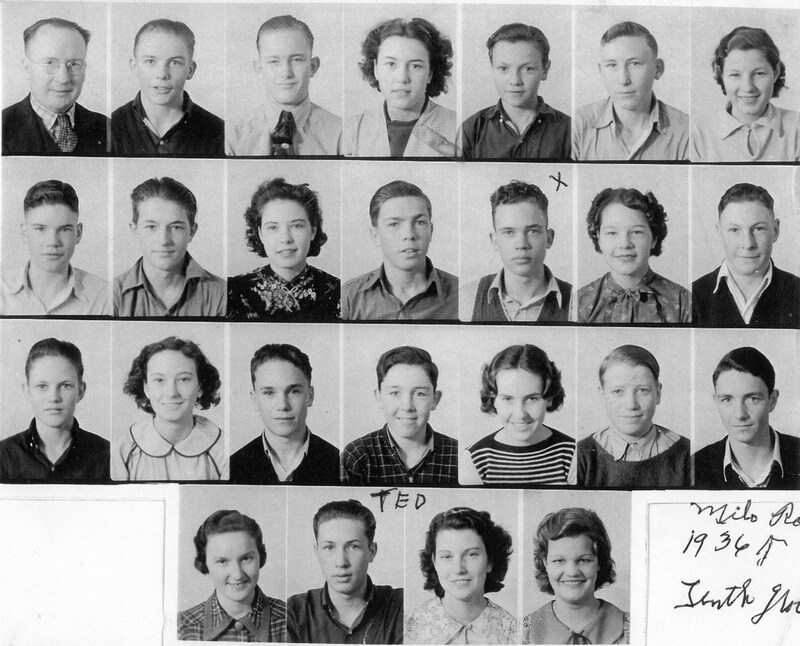 Here is some more information I could find on the individuals in the photo. Lydia Elnora Karren (1879-1959) married Edward Leavitt (1876-1957). They probably lived in Lewiston, Cache, Utah. Estella Nora Glover (1883-1952) married Ephraim Isaac Blair (1882-1943). They probably lived in Lewiston. Sarah () married Preece (). Cannot find records, either have the name wrong or she moved from Cache Valley. Susanna “Susie” Elizabeth Preece (1863-1953) married Andrew Bickmore Allen (1859-1941). They probably lived in Cove, Cache, Utah. Livinia Merriam Henson (1871-1950) married James Franklin Wilcox (1869-1951), previously married to an Levi Knapp Allen (1842-1928). They probably lived in Cove. Clara Deseret Stephenson (1880-1951) married Joseph Henry Wheeler (1882-1963). They probably lived in Lewiston or Trenton, Cache, Utah. Lavina Ellen Hawkeswood (1877-1954) married John James Poulsen (1871-1948). They lived in Lewiston. Interesting note, Martha Christiansen Coley’s husband, Herbert Coley, and Lavina are 1st cousins once removed! Do you think these two ladies sitting on the front row knew of that relationship? Christensia () married Hansen (). Cannot find records, either have the name wrong or she moved from Cache Valley. Martha Christiansen (1879-1961) married Herbert Coley (1864-1942). They lived in Richmond. Martha Ann Kingsbury (1850-1950) married William Crawford Lewis (1830-1908). She was 98 years old in this picture! They probably lived in Richmond. Sarah Ann Gaunt (1878-1963) married Owen Elmo Snelgrove (1880-1973). They probably lived in Richmond.